Every year on my birthday, I hold a contest and give away books—sometimes mine, sometimes other people's. This year, I'm giving away books published in 2014 by people in the Clarion class of 2009. For the first time, I'm using Rafflecopter instead of having my husband draw numbers out of a hat. He always did a good job; let's see whether Rafflecopter can match him. 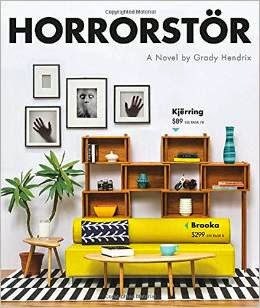 Horrorstör by Grady Hendrix. A horror novel that is also a parody of the Ikea catalog. Expect humor, gore, and disturbing images of home furnishings. Grady is a master of the bizarre and the sardonic; he can make you laugh and cringe at the same time. This is one of the books I've looked most forward to this year; it will be released September 23. 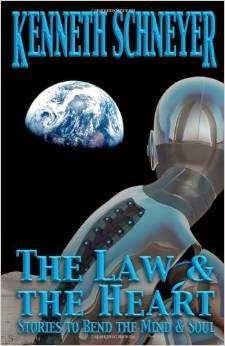 The Law and the Heart: Speculative Stories to Bend the Mind and Soul by Kenneth Schneyer. 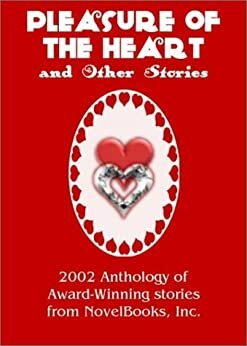 This is a collection of thirteen of Ken's short stories, some previously published, some not. (My favorite makes its first appearance here.) Ken, a law professor, is the leading writer of legal sf. Kim Stanley Robinson says of this anthology, "The stories here are formally ingenious, even startling, and at the same time full of heart; the combination is brilliant and delightful." 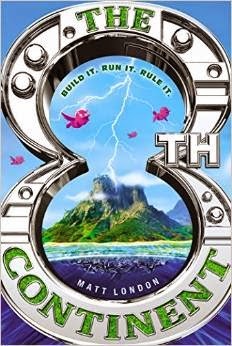 The 8th Continent by Matt London. This book, released September 16, is for children age 8 to 12 years. It has already garnered good reviews from Kirkus Reviews and Booklist, and Kim Stanley Robinson says, "This is a delightful start to the adventures of the Lane family, with their flying tree and their mechanical bird tutor. Evie and Rick and their brilliant if eccentric parents are wonderfully vivid, and the villains who try to impede them in their quest to save the Earth, equally memorable. 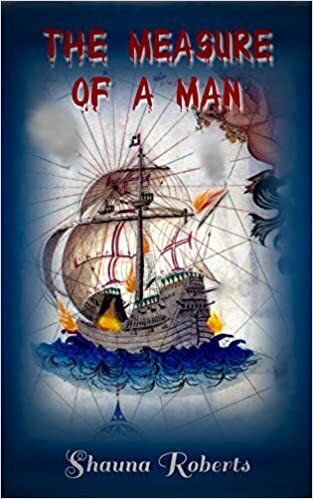 It's all in the great tradition of adventure fiction for young readers, running back through Akiko and Freddy the Pig all the way to Tom Sawyer." Claimed by the Enemy by Shauna Roberts. This is my second novel set in ancient Mesopotamia. This one has romance, adventure, and palace intrigue. As before, I've used archaeological and textual evidence to make the novel as historically accurate as possible. 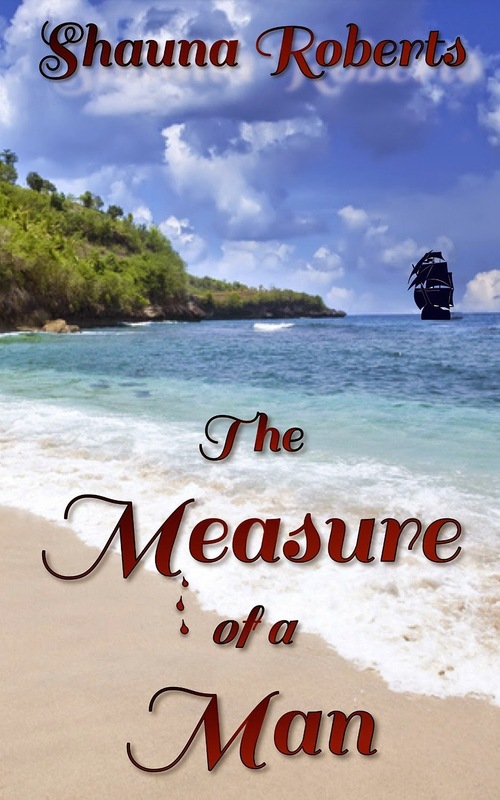 Today's guest post is provided by Angela Quarles, author and bookstore employee. One week ago, I launched my debut novel, Must Love Breeches, and I believe working in a bookstore in the past, and currently, has given me some unique insights into "the other side of the picture" and how to position it. I thought I'd share some of the lessons learned. 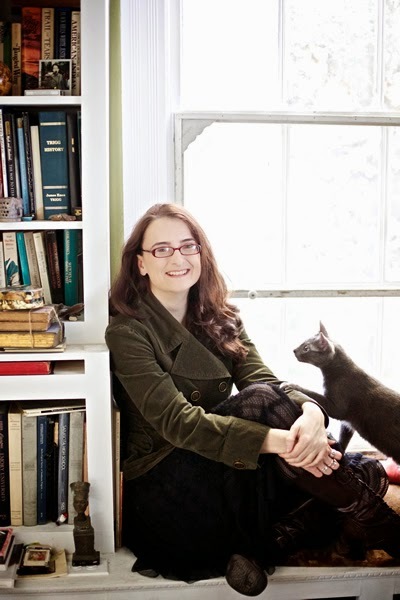 Nine times out of ten, an author goes about getting into a bookstore all wrong. Our book buyer isn't usually in the store, and I've had authors from out of town stop by and be upset that he wasn't there, demand I call him on his cell phone on his day off and let him know that XYZ Unknown Author is only in town a few more hours, etc. It's always best to call ahead. I've also seen authors come in wearing dirty, smelly, wrinkled clothes, push their book across the counter, mumble a monologue, and then pull out a grubby piece of paper to write their name and number down. Others have made the mistake when pitching to my boss that the book is listed on Amazon for $12 and they want to sell it to my boss for $12 and tell him he could mark it up however much he wanted. My boss right then and there said "No." Keep in mind that bookstores are a business, and they will only stock your book if they think they can sell it. You need to market your book to them. And, er, don't make them have to sell it at a list price higher than Amazon; just don't. Even saying the word "Amazon" can kill your pitch. Make an appointment and come dressed as you would for a job interview. Leave a complimentary copy of your book for them to read. They need to know if they can sell it, and they know what appeals to their market. One author did come in recently with a professional attitude and did all the right things (including writing a great book) and my boss ended up loving the book and putting it in the front window with a nice little sign. He's also stocking the book. Price your book so you can afford the 40% discount. But keep it reasonable. Make sure it's in line cost-wise with the other trade paperbacks in your genre from traditional publishers. My boss was pleasantly surprised that my book was $14.99 because he's used to self-pubbers pricing their POD books much much higher. Mine's priced so I make a buck and change in CreateSpace's Expanded distribution because I know that's not where I'm going to make most of my profit and I'd rather keep it the same price as other books on the shelf. If you're able to get into Ingram, the book distributor, that's even better. I'm going to hold off and fulfill orders personally until I think the time and expense is worth it, but if/when it is, I'll be switching off CreateSpace's Expanded Distribution and setting it up on IngramSpark instead, which puts you in the Ingram catalog. The former only allows bookstores a 25% discount and no returns. The latter lets you swim with the big dogs. I'm trying to do a booksigning at a Barnes & Noble at my college bookstore for my reunion, and the buyer flat out said they don't order books from "CreateSpace, Lulu, XLibris, AuthorHouse and others," but he might be willing to give me the space if I brought my own. We're working on that. For those that don't know, bookstores order the bulk of their new books from Ingram, which is a wholesale distributor. Bookstores already have an account with them, can stock up on other books they need, and get free shipping. Not being there makes it easier to say no. Your book would have to be something they really, really want to stock to jump through alternative hoops. But even more so, make sure you have a good, clear spine designed. If mine makes it into another bookstore, it most likely will only be "spine out." The spine will be my first barrier of entry for casual browsers. Have an eye-catching title. That, combined with the spine, may entice a browser to pull the book out and look at the cover. Have compelling back cover copy, of course. 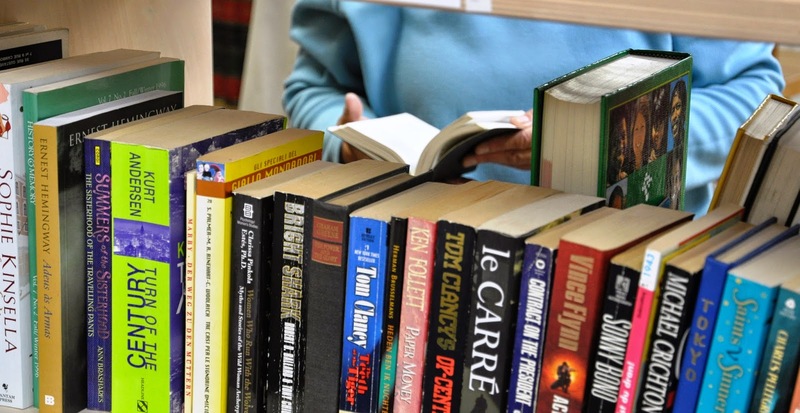 Most customers seem to already have a book in mind when they come into the store, but there are others who do come in hoping that something will "jump out at them." For those browsers, that's where your spine, cover, title, and blurb need to do the heavy lifting, and why it'd be sweet if an employee could recommend it. You need to let people know your book is at a particular store. Being in a bookstore doesn't magically make it sell. People have to know about it. Tell your friends and social network! Blog readers: Any other tips you can share? Have you worked in a bookstore too? Thank you, Angela, for your great insights into how bookstores decide whether to stock independent (and other) books! Your sample one-sheet flyer for bookstores is a gem.